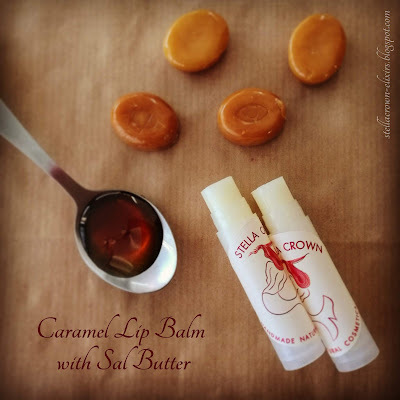 Today's menu includes caramel lip balm, since we are officially in the autumn season! This time I chose sal butter from distant India that has been used for many centuries to protect the skin from the sun and the wind. It is a butter that melts at body temperature while exhibiting a high content of stearic and oleic acids, providing good hydration and antioxidant action. 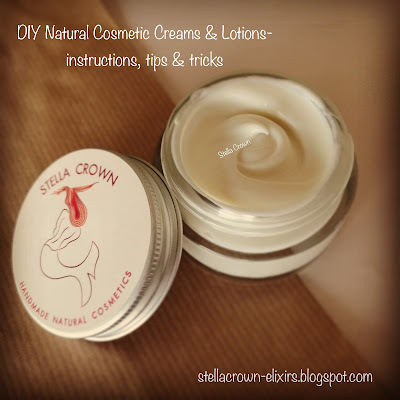 In this balm I used beeswax as it contains antibiotic substances, heals and softens, provides rich antioxidant action and stimulates the elasticity of the lips, creating a protective hydro-lipidic film on their surface. The formula also includes coconut oil as it fills the cracks of the lips and makes the lips soft and silky, cocoa butter for extra hydration and sweet almond oil as it softens the lips and helps in their rapid healing. Firstly, you must sterilize tools, equipment and work surface and wear your gloves. This project might be easy easy, but it cannot be dirty. Prepare a water bath, by filling a heat- proof saucepan 1/3 full of water and place it to low heat. Weigh all the ingredients. Add the butters, the oils and the wax into the beaker. Place it in your prepared water bath to melt everything through. Remove the beaker from the water bath and dry it off with a towel. Stir with a stainless steel whisk to incorporate. Add vitamin E and stir thoroughly. Pour now the caramel flavouring oil and stir again.